The Boreas Pull-On is a light-weight, highly breathable windshell, designed to provide protection for fast-and-light mountain use. Now featuring a revised fit and construction, the Boreas Pull-On offers the ultimate wind protection making it an essential layer for climbing, walking or running in the mountains. Featuring Polygiene® STAY FRESH odour control treatment, the Boreas Pull-On can be comfortably worn for multi-day trips. Features include an under-helmet hood, deep venting YKK® chest zip and flatlock low bulk seams for increased packability. 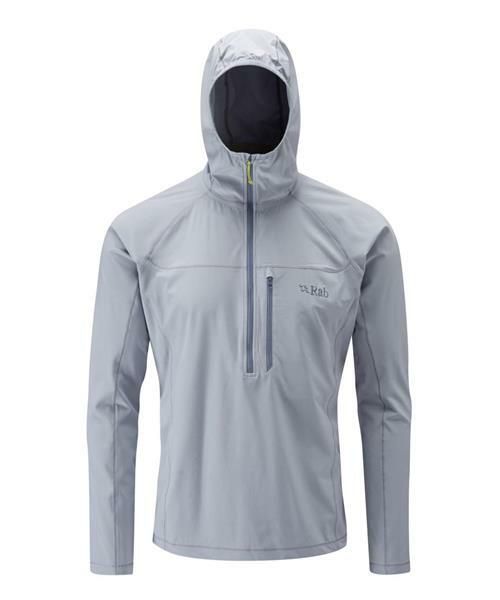 The slim fitting nature of this piece makes it the ideal pull-on for increased protection when the wind picks up.